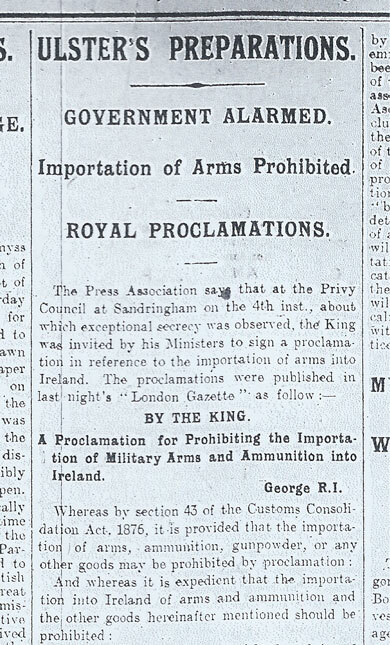 A royal proclamation prohibited the importation of arms and ammunition in Ireland. 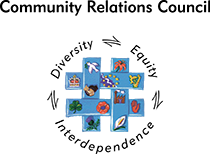 The government was concerned about the growth of paramilitary groups in Ireland and feared that open rebellion would break out in Ulster. 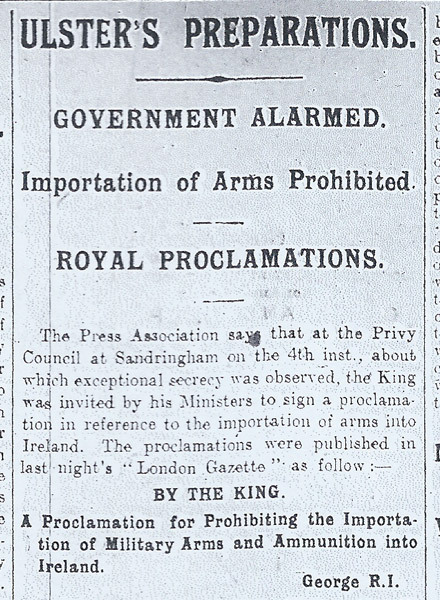 Colonel John Seely, the war minister, asked the Commander-in-Chief in Ireland to strengthen approaches to Ulster at Enniskillen, Dundalk and Newry and to take precautions to safeguard arms depots. Winston Churchill, now First Lord of the Admiralty ordered a naval cordon in place to block shipment of arms to the country. 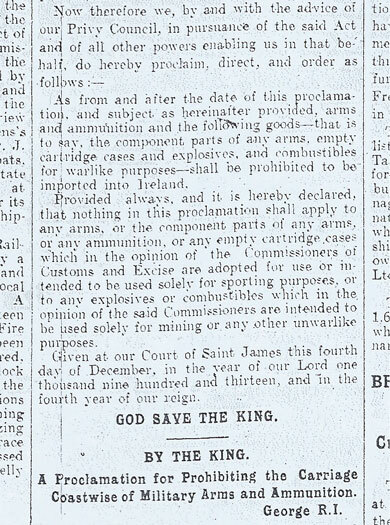 The Belfast News-Letter, 6th December 1913: 'Ulster Preparations'.